spreading the label's typical sound internationally. After a successfull US tour Tyson did together with Inter, Bridge, Stakka & Skynet last fall the next step will be a follow up USA tour this year and a SuddenDef European tour with Tyson on the roster. 3|11 DIRECT DRIVE | NYC | USA t.b.c. Tyson is part of the London based SuddenDef label and their Def:inition events. 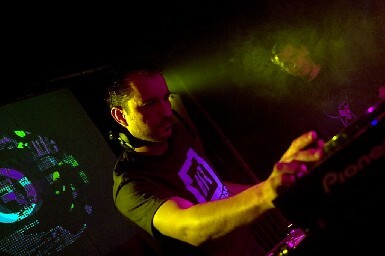 Representing SuddenDef as a DJ and promoter in the Netherlands,Tyson also performs regularly at their events in the UK. Not only has Tyson played at every major venue and many festivals in the Netherlands he's thrown down his talent throughout much of Europe (London, Austria, Turkey, Spain, Germany, Belgium, Israel, Slovakia, Italy). As well, his DJ bookings have given him residencies in North America representing his very own energetic style. Tyson's is well known for dropping his special blend of upcoming/new releases along side the familiar classics, with force! His diverse selection of tunes, from many genres, makes sure no one is ever standing still on the dance floor. He is commonly accompanied by Dapper MC and live drummer, Bradly 'The Jungle Drummer'.